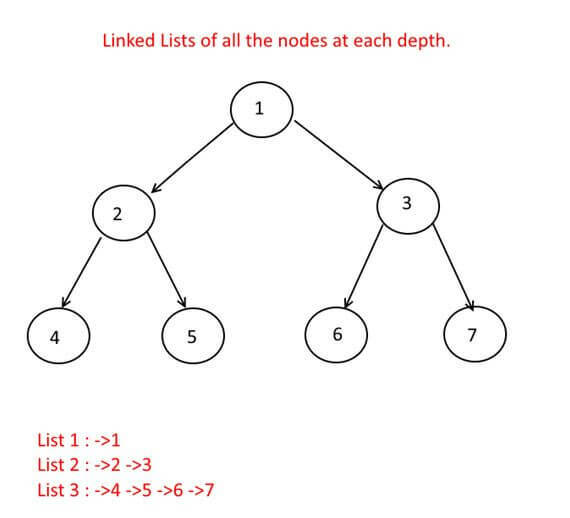 In a Binary Tree, Create Linked Lists of all the nodes at each depth. Objective: Given a Binary tree create Linked Lists of all the nodes at each depth , say if the tree has height k then create k linked lists. 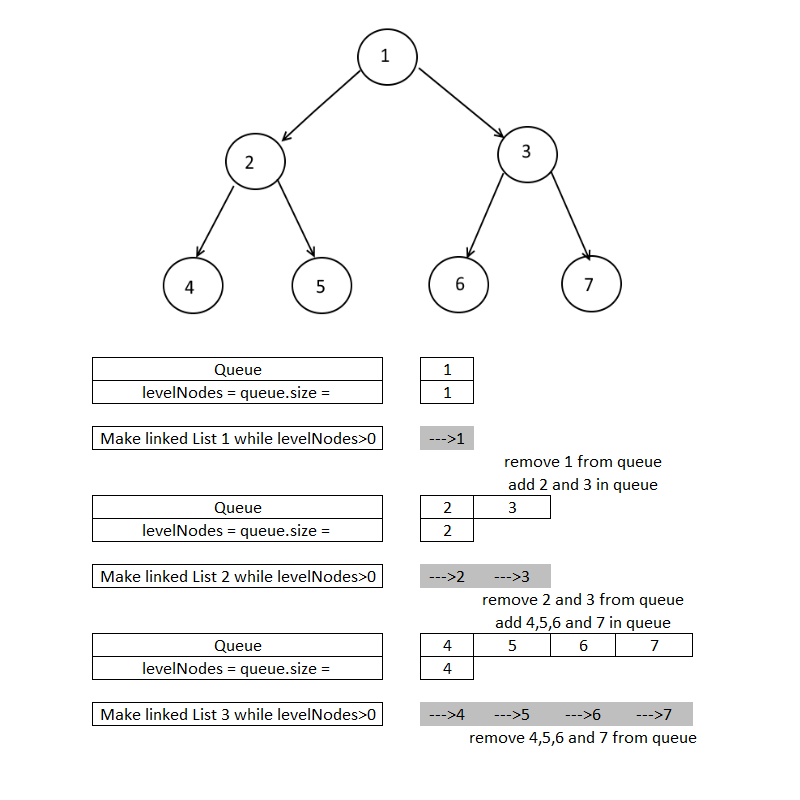 Output: K linked lists if the height of tree is k. Each linked list will have all the nodes of each level. Create a ArrayList of Linked List Nodes. Do the level order traversal using queue(Breadth First Search). Click here to know about how to level order traversal. For getting all the nodes at each level, before you take out a node from queue, store the size of the queue in a variable, say you call it as levelNodes. Previous story Level Order Traversal, Print each level in separate line. 241 queries in 0.151 seconds.